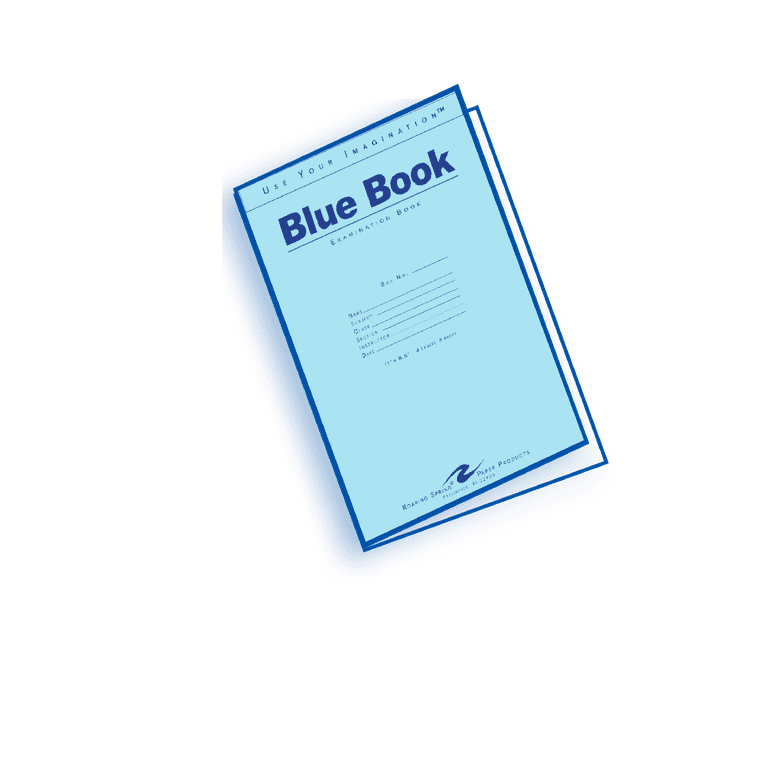 What Is a Blue Book? A blue book is literally a book with about 20 lined pages that college, graduate, and sometimes high school students use to answer test questions. More specifically, a blue book refers to the type of exams that require students to use these books to complete the test. Blue books generally require students to answer open-ended questions or a list of topics to choose from with written answers that vary from between a paragraph to an essay-length response. Blue books originated at Butler University in Indianapolis in the late 1920s. They feature blue covers and white pages because Butler’s colors are blue and white. Blue books can cost as little as a quarter a piece. Their covers often include a title such as, "Blue Book: Examination Book," as well as blank spaces for the student's name, subject, class, section, instructor, and date. Blue Book Exam: What to Expect? Blue book exams generally are given in courses that involve the social sciences or English, such as classes on political science, economics, history, or English literature. Blue book exams can be a bit intimidating. The professor usually walks in and hands out a single sheet or two containing questions that students are expected to answer. Sometimes students are given two to four specific questions; in other cases, the professor breaks the exam up into about three sections, each containing a list of two or three questions from which the students can select. For answers to gain full, or even partial, credit, students are expected to craft a clearly and correctly written paragraph or essay that accurately answers the question or questions. A sample question for a blue book exam in an American history or a government class might read: "Describe the influence of the Jeffersonian-Hamiltonian strains of thinking on American political thought through the decades and centuries." Just as if they were writing an essay outside of class, students would be expected to create a clear and compelling introduction, three or four paragraphs for the body of the essay that contain well-referenced supporting facts, and a well-written concluding paragraph. In some graduate or professional schools, however, a blue book exam taker might fill up the entire blue book during the course of a single exam. Because a blue book test might contain several such essays, students cannot simply bring a bunch of loose notebook paper that might easily get mixed up or mixed in with the papers of dozens of students handing in their exams. Blue books can cost as little as quarter up to $1 or more depending on where you purchase them. Students generally buy blue books at college bookstores, stationery supply stores, and even at some big-box stores. Students nearly always bring their own blue books to exams. Professors rarely hand out blue books to students, except at the high school level. You can easily recognize blue books, which often have a title on the cover such as, "Blue Book: Examination Book," as well as spaces for the student's name, subject, class, section, instructor, and date. 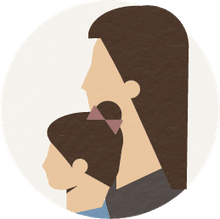 The section is listed because some college classes have several sections and providing a section number ensures that the completed booklets get to the right instructor and correct class. Blue books are the main method professors use to administer written tests, though some universities are trying to do away with them. The exam books are convenient for professors. Certainly, students could bring a few sheets of notebook paper to class for exams. But that would increase the number of items each professor would have to organize and track. With blue books, the professor has only one book to handle from each student. With loose-leaf notebook paper, a professor might have to handle three or four pieces of paper, or many more, from each student. Even if each student stapled the loose-leaf paper, it's easy for a page or two to become detached, leaving the professor scrambling to determine which loose page goes with which exam, often from among dozens of tests. And since blue books have blank spaces on the cover for the student's name, subject, class, section, instructor, and date, a professor can find all the relevant information about each student in the same location on each book. Many schools are opting for different colors than blue for their exam books. "Blue books at Smith College are yellow, and at Exeter they occasionally come in white. Ten to 15 other colleges spice things up with a rotating color scheme," notes Sarah Marberg in her article "Why Blue Books Are Blue," in the Yale News. Additionally, such schools as the University of North Carolina at Chapel Hill are trying to replace blue books and allow students to take exams on computers and computer tablets, but that requires spending thousands of dollars for special software that restricts students' ability to surf the web looking for answers. The beginning of blank, bound examination booklets is a bit sketchy, according to a paper published on Research Gate, a website for scientists. Harvard began requiring written exams during the early 1850s for some classes, and in 1857, the institution started requiring written tests in nearly all areas of study. Harvard often provided students with blank exam books because paper was still expensive at the time. The idea of using exam booklets spread to other universities; Yale started using them in 1865, followed by Notre Dame in the mid-1880s. Other colleges made the shift, and by 1900, exam booklets were widely used at institutions of higher learning across the country. Blue books and blue book exams, specifically, originated at Butler University in Indianapolis in the late 1920s, according to ﻿University of Virginia Magazine. They were first printed by Lesh Paper Co., and they were given their distinct blue covers because Butler’s colors are blue and white, according to the UVA publication. Colleges and universities have used the distinctive blue books ever since. How Long Should My Paper Be? What Is the SAT? Learn about the History and Content of the Exam.